Brand new, GST PAID, bright, open-concept 1 bed + 1 full-sized flex + 1 parking spot in the heart of Olympic Village. 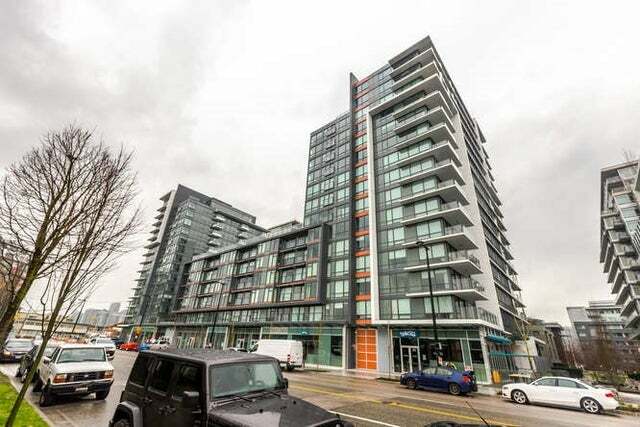 Situated between both Expo-Millenium & Canada Line Stations. Steps to all amenities that Olympic Village has to offer. There's plenty of natural light with 8'4" ceilings, north-facing MOUNTAIN VIEW, floor-to-ceiling windows plus Juliet balcony. High-quality design & finishing: spa-style bathroom with Grohe rainfall shower; quartz countertops; Bloomberg integrated fridge & dishwasher; Fulgor Milano stainless steel wall oven & cooktop. 2nd & 8th floor rooftop landscape gardens with communal planters & BBQ lounge, clubhouse with full kitchen facilities, lounge area w/ media, dining area & 2 extended indoor/outdoor patios, 12-hour concierge, etc. Floor Area 524 Sq. Ft.